This competition is now CLOSED for 2017. The Fiji Power competition winners have been selected. Congratulations to Gabby and Ella from Taroona High School in Tasmania. 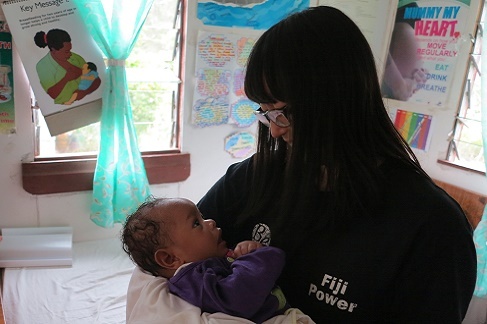 They will be off to Fiji in October to help run a renewable energy program in Fijian Villages, Schools and Medical centres along with the winning Teacher Elizabeth White from St Clare's College in the ACT and her two "runner up" students Alex and Tia. You can follow our trip here in October! We need power. 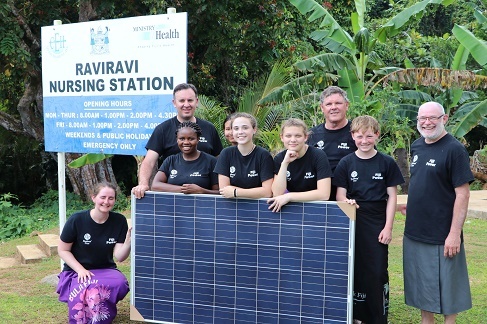 If you are a Year 9-10 student, research and submit proposals for a reliable renewable energy supply for a remote Fijian medical centre and you could be on your way to Fiji. Investigate hydro, solar thermal and other renewable sources of power as part of your science studies. Students in Year’s 7-8 are also invited to complete the assignment and will receive a particpation certificate. Research two forms of renewable energy that could be used at the medical centre. Compare the advantages and disadvantages of each. Click below to access the assignment for practice to enter the 2018 competition, or just because it's a great assignment for upper high school students studying renewable electricity. If you're not already, you'll need to sign up for a free membership on Expedition Class to continue.